Even more reinforcements are en route to the southern Texas city in response to the large migrant caravan currently sheltered in Mexico. EAGLE PASS, Texas — By Friday afternoon, Eagle Pass's Shelby Park – an area by the Rio Grande River typically used by joggers and for community events – had turned into a headquarters of sorts for the extra Border Patrol agents, CBP officers and state troopers who have mobilized here this week in response to a migrant caravan’s arrival just across the border. It’s an extra layer of security and safety for the border, but it’s one that local leaders on this day suggested wasn’t entirely necessary. One hundred fifty Customs & Border Protection officers, along with 500 State Troopers, are just some of the reinforcements in town this week helping to secure the border as 1,800 migrants seek entry after a long journey. En route to what they hope becomes their new home in the United States, their temporary home this week is in Piedras Negras, Mexico, where government officials are sheltering them. However long they may be there, however, will be the product of a combination of luck and patience. Piedras Negras has a years-long foundation of communication and collaboration with Eagle Pass leaders. Mayor Ramsey Cantu said that unity is a big reason why both communities are on top of the unfolding situation. While some residents of Eagle Pass were concerned about what the migrants may do once they arrive at the U.S.-Mexico border – concerns that have since given way to relief for now – an even bigger part of the community was surprised at the large mobilization of law enforcement that arrived in town in response. On Friday, local leaders showed they also shared that sentiment. In a city whose residents could talk all day on their appreciation for local Border Patrol agents – many of them their own neighbors – officials on Friday also took time to commend the 95-year-old agency on continuing to do what it has done for decades: Keep an eye on the frontier. It's not just for the security of residents in the U.S., however, but also for the safety of those trying to enter the country, whether legally or illegally. Just hours earlier, at around 8 a.m., agents rescued a family of five Honduran nationals -- three adults and two children -- who had gotten stuck in the middle of the Rio Grande trying to cross. Officials said they didn’t believe the family was part of the recently arrived caravan. “They couldn’t go forward and they couldn’t go back, so we had to rescue them. 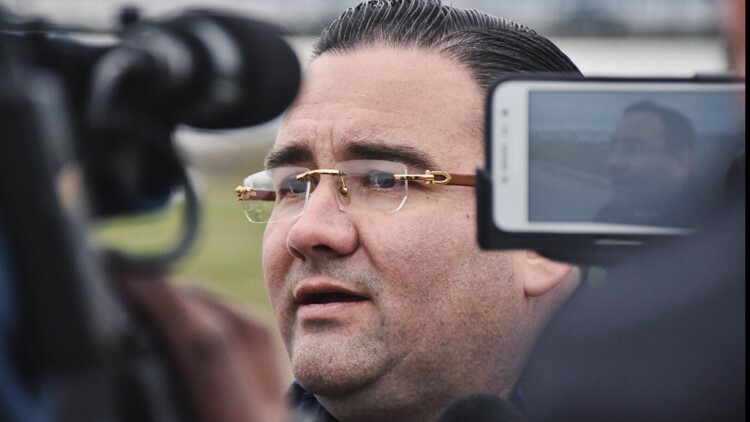 If I could say one thing to these migrants: cross legally through the ports of entry if you are attempting to claim credible fear,” said Paul Del Rincon, the port director for Eagle Pass. CBP has been working since the caravan arrived to get its members processed, but it’s happening little by little—in very small groups of about a dozen at a time. At that rate, CBP has a tremendous task ahead. Officials say while port authorities may arrive from nearby border towns to assist in those efforts, there didn’t seem to be any concrete plans for that happening as of Friday. “We expect some time for this obviously to end and to die down, and we’ll allow that to happen as it happens,” Nevárez said. 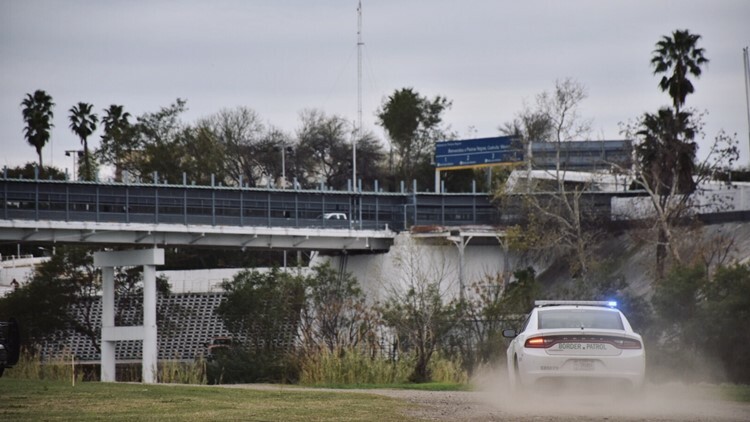 A Border Patrol unit drives near one of the two international bridges in Eagle Pass, Texas on Friday, Feb. 8, 2019. 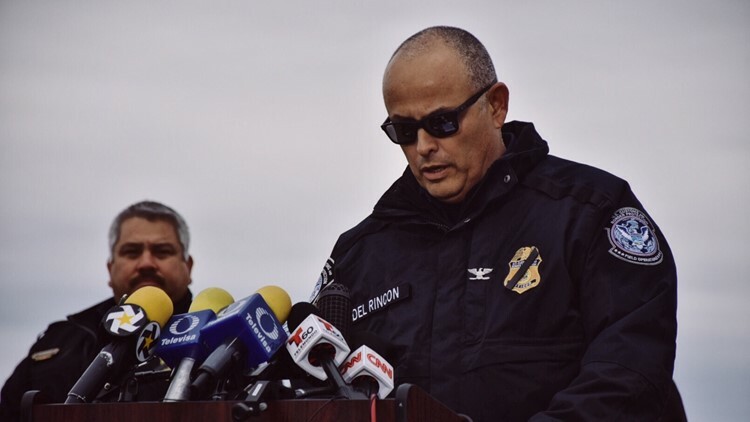 At one point during Friday’s press conference, Nevárez was asked about specifics as to what makes this situation different for the response to be a relatively massive show of force on the Rio Grande – one that Del Rincon earlier called unprecedented – seeing as the arrival of a large group of migrants isn't new.